There are some yellow trees here, but also a lot of brown. Once you’ve seen a New England fall, you are ruined for life. There is nothing like it. I am realizing that I’m not very good with seasons. I’m not good at letting go and moving on. I hold onto things and people way too long. I love summer – the sunshine and constant feeling of freedom. My feet and shoulders get to be free, and so does my soul. People are happy and warm. Vacations happen. Fireworks, BBQs, swimming, warm late summer nights. Things are good. I’m never really ready for fall. It is grey and sad and means winter is coming. It makes me homesick, lonely, and just disappointed. (Wow, Kal – real upper this week, aren’t ya?) It is just that my feet and shoulders have to start hiding inside boots and sweaters and it feels like the end of something great. I know seasons are important. I know (well, I think) I would get tired of eternal summer. I just have a hard time saying goodbye. Letting go. I’m attached to the green of the trees and the blue of the sky. The warmth around me. The memories. I want it all to stay. While fall has ushered itself in, I feel the same in my own life. I feel like I have walked into a season of loss. A time of uprooting and saying goodbye to a lot. I’m feeling a loss of myself – who am I if I am not who I thought I was? If I’m not good at what I thought I was good at, what good am I? I know that fall has to happen, because death has to happen for new life to come. The seasons are the Gospel. Death brings new life. It is beautiful and warm and purposeful – but painful. Have you ever felt like you are a summer tree being forced into fall? Losing your leaves, and with them your comfort? It is cold and blustery and lonely. It is slippery and isolating. It doesn’t seem like it will ever end. 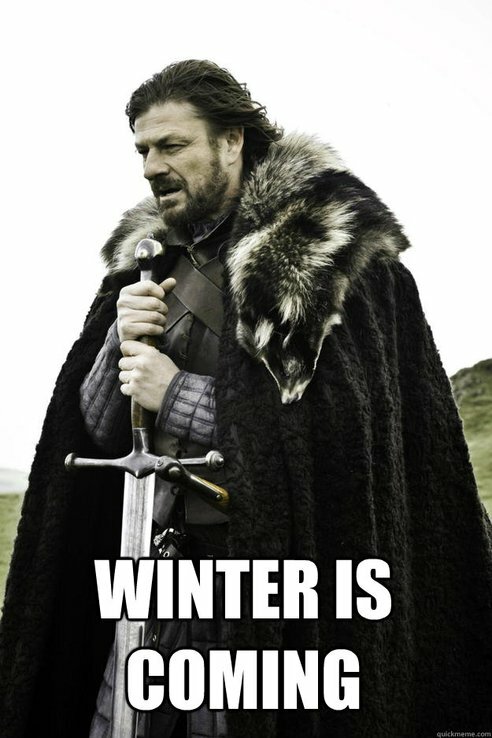 But just the way summer has to end, fall and winter do too. The same way we are confident of Jesus defeating death and rising from the grave, we know winter ends too. 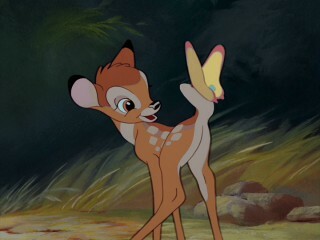 Spring comes, with all the beauty of the spring scene of Bambi. I know no matter how challenging, how lonely, how cold this winter season of my life might be, might feel, that there will be an end. And not just that, but there is a purpose and a beauty that comes. Just as there is a time to mourn, there is a time to dance. We are brought through the winter and loss so we can walk in newness of life. He is bringing us to life, constantly. Whatever season you might be finding yourself in, whether it matches the weather or not, may you know that there is a time for everything, and God is in charge of those seasons. They are never wasted, never lacking purpose. There is a season for everything, and a reason for everything. May even the hard seasons remind us that new life always comes.